James Macgregor was the eldest son of John Macgregor of Finnart and Margaret Fleming. He was born on 23rd December 1833, in City Parish, Glasgow, Lanarkshire. His father was one of the joint proprietors of the shipyard Tod and Macgregor in Meadowside, Partick. There is evidence that he probably worked in the shipyard, as he is described in the 1851 Census as “Engineer” and was living with the family at Meadowside House, Partick at this time. He is described as an "Engineer & Shipbuilder", but he stayed on at Tod and Macgregor's at only until sometime before 1861, at which time he described himself as a "Retired Shipbuilder". On the 17th of November 1859 James married Jane Douglas Walker. They were married at her home; Castlebank, Partick. John was residing at Grosvenor Terrace, Hillhead at the time. Jane was born on the 13th April 1842. She was the eldest of six children born to Bleacher Master John Walker and Maryanne Black (married 23rd November 1940 in Barony), they had two boys and four girls. 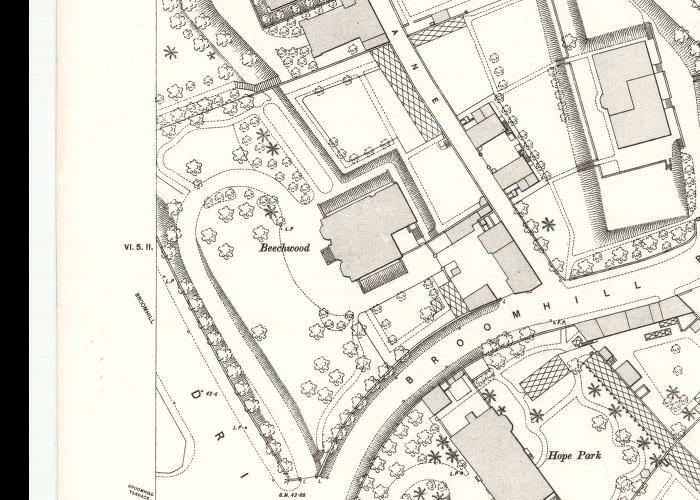 The family lived at the bleach works in Castlebank, Partick, where John employed a large workforce; 54 women and 25 men at the time of the 1851 census. This grew to 58 women & 23 men at the time of the 1861 census, by which time they had moved to 44 Douglas Street, Partick. In the 1861 census James and Jane were recorded as living at Beechwood House, Partick with three servants. 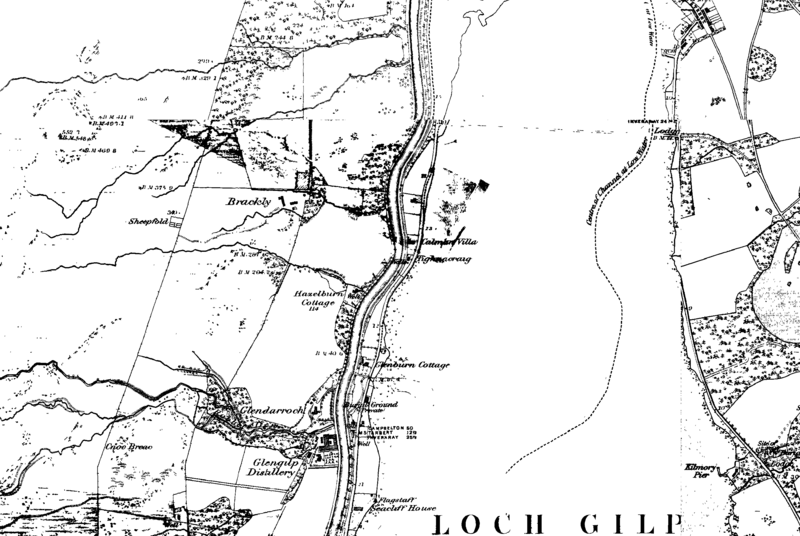 In 1871 they were found in Ardrishaig, Lochgilphead, Argyle with one servant. Jane Walker died of an obstruction of the gall duct and jaundice on the 29th of August 1873. She was residing at Calman Villa, Glenburn Road, Ardrishaig, Lochgilphead, Argyle at the time. On the 12th of January 1875 James married Alice Jeffs at Christchurch, St Marylebone, London. Alice was 20 and the daughter of upholsterer Thomas Jeffs and Mary Hales. James gave his address as St Michaels, Paddington. Thomas and Mary were married at the Old Church, Saint Pancras, London on the 25th December 1847. Thomas was working as a Railway Clerk at the time and living in Seymour Place. His father, Thomas, was a porter and Thomas Jnr. was born in St Lukes, Middlesex in 1827. Mary was living at Oval Road and was the daughter of William and Mary Anne Hale. She was born on the 25th of May 1825 and christened at Saint Mary-St Marylebone Road, St Marylebone, London on the 9th of June. Thomas was still working as a carman. Thomas Jeffs is mentioned in James's will as a cabinet maker from No 3 Carlisle Street, Edgware Road, London. In the 1881 census he was found (aged 55) at 34 Carlisle Street, Marylebone, with Mary (50) and a daughter Catherine (20). Thomas described himself then as a French Polisher and Catherine as a "Vocalist". On the 26th of November 1881 James died, at 28 Hamilton Drive, Hillhead, of kidney and heart disease. He was aged only 47 years. His will records his wealth as being £5,529 2s, little more than he inherited from his father 23 years earlier.